Who Can Transfer Car Titles? While court oversight during estate administration helps protect from fraud, it is also time consuming and expensive. Transferring assets is possible even without the oversight of the probate court. One example is the ability to transfer car titles or interests in those titles outside of full probate. An experienced probate lawyer can help in figuring out if you are able to transfer outside of probate. Estate administrators in California can transfer title to a vehicle in California without requiring letters of administration or testamentary. To be eligible, the estate cannot exceed $150,000 in assets. Also the decedent’s real and personal property must be located in California. It also must have been at least 40 days since the death of the decedent. Transferring a car title to a vehicle without a formal probate, an Affidavit for Transfer Without Probate – California Title Vehicles or Vessels Only form must be completed. The sole person or persons who inherited the property of the decedent. The conservator or guardian of the property of the sole person or persons who inherited the property of the decedent. The beneficiary of the vehicle under the decedent’s Last Will and Testament who has the right to have title to the car transferred to him or her without the need for probate proceedings. The trustee or trustees of a trust, provided that the trust agreement prepared by the decedent named his or her next of kin as the primary beneficiaries. 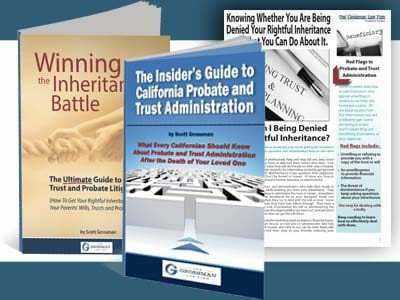 Our free guide, The Insider’s Guide to California Probate and Trust Administration, offers further guidan. 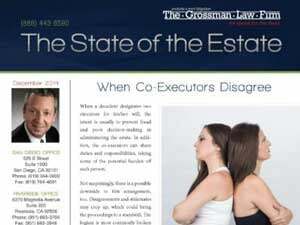 If you are in charge of administering an estate, view our article, The Duties of the Personal Representative of a California Estate. 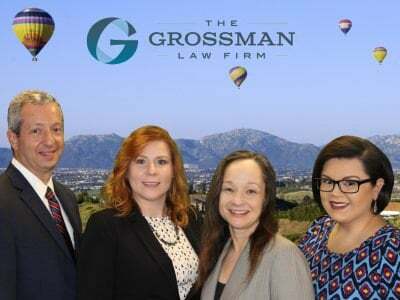 Contact an experienced San Diego probate court attorney at the Grossman Law Firm today to learn more. Call our office at (888) 443-6590.